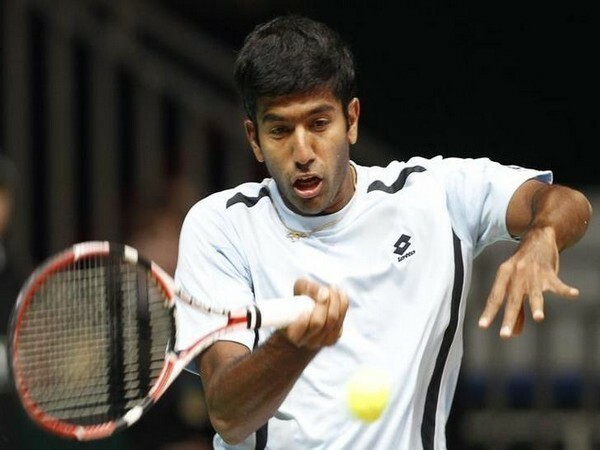 Monte Carlo [Monaco], April 21 (ANI): Indian tennis ace Rohan Bopanna and his French partner Edouard Roger-Vasselin will aim to book their place in the finals of the Monte Carlo Masters when they head into their last-four clash of the men's doubles event here on Saturday. Florida [U.S.A], March 26 (ANI): Indian tennis ace Rohan Bopanna and his French partner Edouard Roger-Vasselin suffered a major blow as they crashed out of the Miami Open after going in the second round of the men's doubles event here on Monday. Melbourne [Australia], Jan 20 (ANI): The unseeded Indian pair of Leander Paes and Purav Raja bounced back from a set down to book their place in the pre-quarterfinals of the men's doubles event of the Australian Open here on Saturday.